It’s back by popular demand! Join Alumni Relations and the School of Art glass program for our “hot stuff”, hands-on glass workshop. 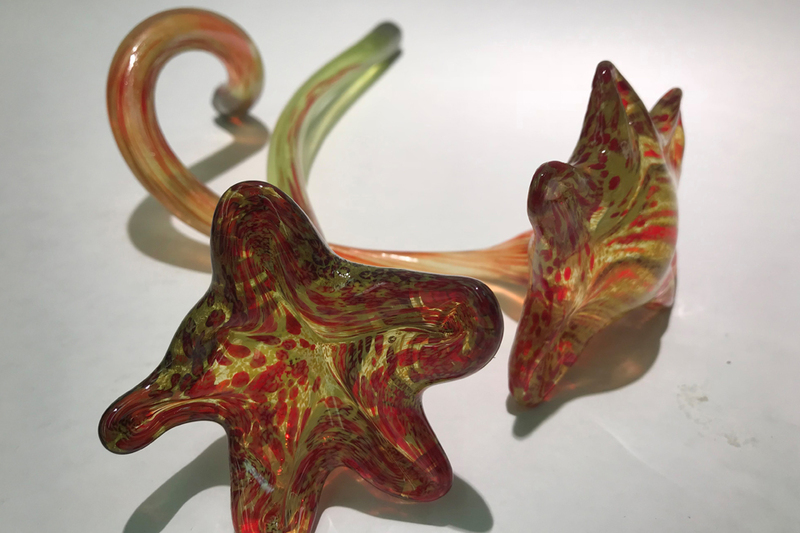 Get an exclusive look at glass-blowing, learn about the historical Glass House (established in 1970), and make your own perfect piece for spring. Each attendee will work with advanced students from the program to create a unique, one-of-a-kind, colored glass flower. Pieces created by Illinois State students will also be available for purchase. Two dates are available. Space is limited, with groups beginning every 30 minutes. A time will be assigned when guests register. Cost includes snacks, non-alcoholic beverages, and the glass flower. A portion of each registration will also benefit the Pilchuck School Partnership Scholarship. Register by April 2 with Juliana Nelson at (309) 438-2495 between 8:30 a.m.- 4 p.m., Monday-Friday. Participants must be 16 years or older. Limit two guests per registration.